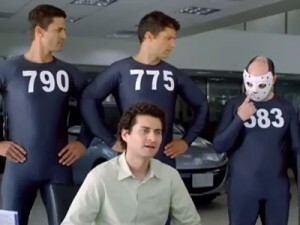 We have all seen, and laughed at, the litany of free credit score commercials on television now a days. Whether it’s a funny rock band song that you can never get out of your head, or the overweight, balding credit score man seen on your left; we are constantly bombarded with ads for paid services to check our credit score. So it must be important right? This is where the magic of advertisement shows it’s power! We are duped into running to our computer and signing up for a free trial just to make sure we don’t have a fat ugly bald guy in there. The truth is, there are a couple great alternative sites that are completely free. The service I use is called, Credit Karma. It is a simple sign-up process and it will immediately give you one of your three credit scores. They now provide credit monitoring at no charge too, so you can keep track of all your current lines of open credit. 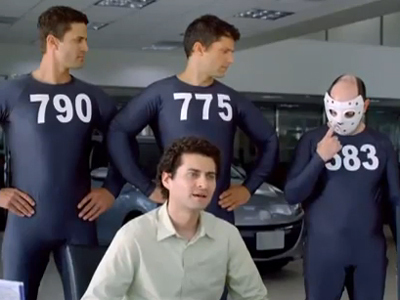 Now that you know your credit score, what does it mean? There are three main credit bureaus in the United States: Equifax, Experian and TransUnion. All three take information from your credit history, such as number of lines of credit currently open, number of inquiries for credit in the past two years, etc and come up with a credit score based on all this information. All three companies use similar, but slightly different statistical methods to come up with your score, hence the three different scores. Credit bureau scores are often called “FICO Scores” because they were all developed on the principles used by the Fair Isaac Corporation. Being a young professional, the one disadvantage you have when it comes to your credit score is time. The average age of your lines of credit will be low due to the fact that you are young. You want to have one or two “no annual fee” cards that will always be in your wallet to help raise the average age of all your accounts. A quick example: If you have a card with 10 years of history, and you open two new credit cards, this will only reduce your average age to 3.33 years. Without this 10 year old card, your score could be adversely affected by opening one or two new cards in a short period of time. Often overlooked, a hard inquiry can negatively affect your credit score for up to two years. Every time you apply for a credit card, home loan, or even open a bank account, this causes a hard inquiry to show up on your account. Whether you are accepted or rejected for the offer, each inquiry made counts against your credit score. However, one important note is that rate-shopping for a mortgage, auto or student loan is actually encouraged. All inquiries made within a 14 day period, for a mortgage loan for instance, are lumped into one credit inquiry. Use this to your advantage when applying for these types of loans as rates can vary greatly depending on the type of institution you choose. You can see a detailed breakdown of what’s in your credit score here. Let me know what you think about my first post! Love it? Hate it? Disagree? Do you think there is anything else a young professional can do to raise his/her credit score? How many lines of credit do you have open? haha i like the links. Keep it up. Does checking your credit score through the recommended sites have any effect on your credit score? No, any time you personally check your credit score, this is known as a soft inquiry. These types of inquires will not hurt your score. Good question.